We have already unearthed the best contractors for your house exterior siding project so that you don't have to search for them yourself. With our help, a successful exterior renovation could bring you closer to your dream home faster than expected. You may have to act quickly with your house siding! 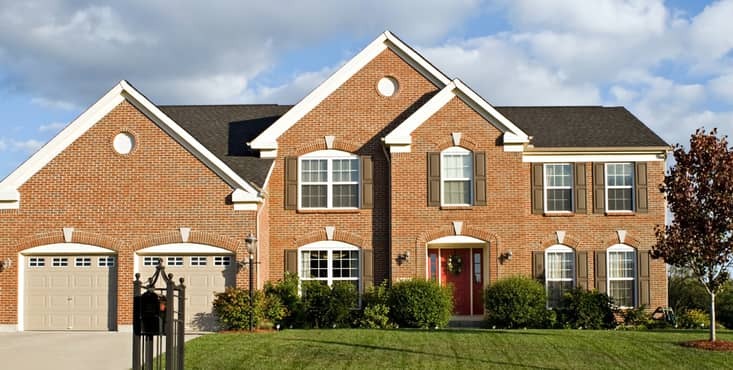 Whether you're about to choose siding for your new home or to repair the damage to your existing home, it will have a considerable impact on the aesthetics and value of the property. 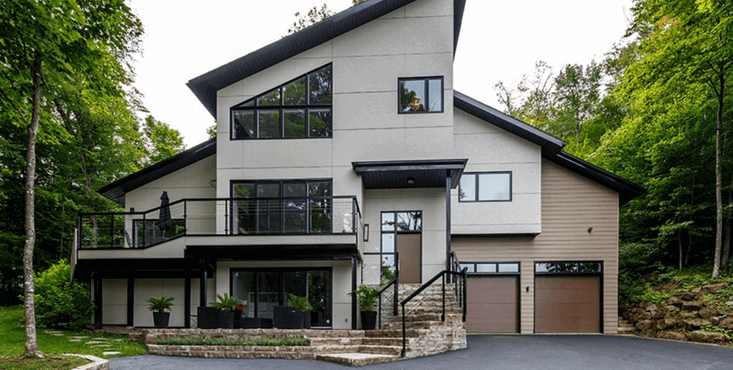 We can assist you in all stages of your project and refer you to the contractor who will carry out the replacement of your home siding/cladding. Repairing or replacing the exterior finish helps to protect your home and ensure its durability. Therefore, it is advisable to seek the intervention of a contractor specialized in house cladding before greater damage is caused to the internal membrane and structural materials. Acting quickly to restore damage to your siding can prevent further costly damage in the future. What siding materials should you choose for your home? It's best to seek advice before choosing any siding materials offered in the market. With the help of experts, making a wise choice that respects your budget proves easier. Reno-Assistance can help you make your project a success. 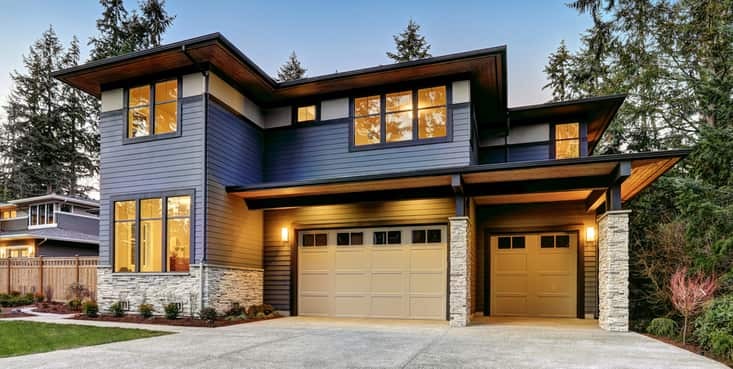 "I'm here to help you with your exterior cladding project"
The price of your home exterior siding can vary in several ways depending on the area to be covered, the difficulty of installation, but especially the type of materials used. 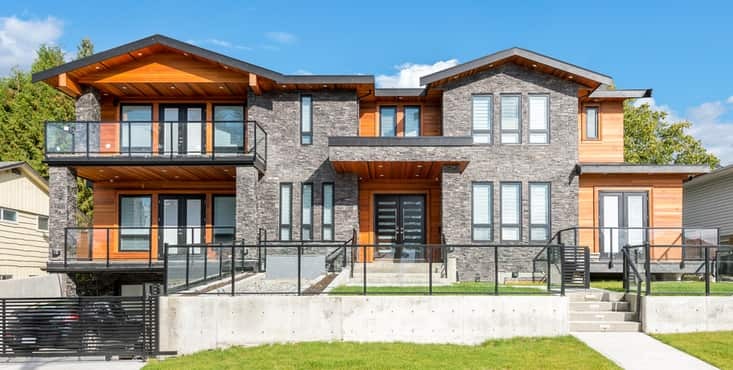 After dealing with multiple home siding and cladding projects with different contractors, we noticed a certain tendency in the prices of each of the home cladding options. Vinyl siding $4 to $7 sq./ft. Aluminium siding $6 to $9 sq./ft. Wood Fibre (CanExel) $6 to $10 sq./ft. 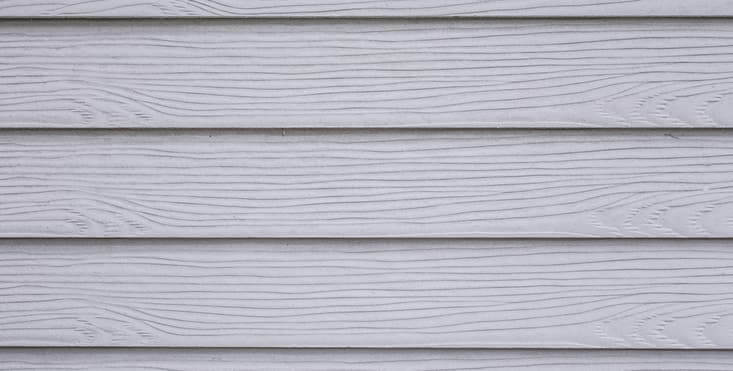 Fibre Cement siding $7 to $11 sq./ft. Acrylic & Stucco siding $8 to $11 sq./ft. Wood siding $10 to $13 sq./ft. Brick siding $25 to $35 sq./ft. 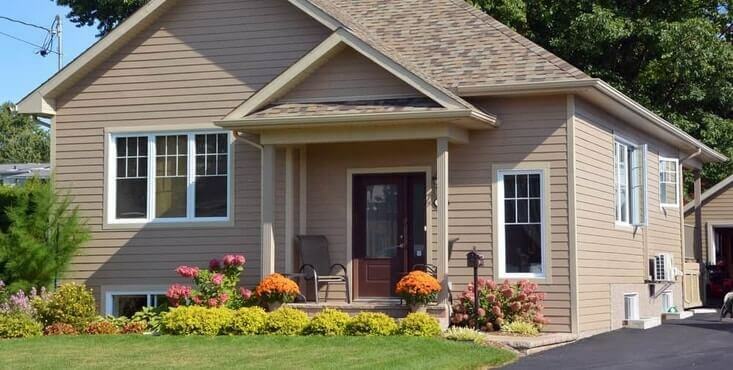 Each home siding material has its advantages, whether it be price, appearance or durability. Below you will find a quick overview of the different types of home siding materials, with their unique advantages. Vinyl, also known as PVC, is the siding that is most commonly used. It's known among other things for its finish and because it requires little maintenance. Positive points include its great resistance to the weather and its resilience against termites and mold. In addition, it's easy to install. As for its negative points, vinyl is partly made with non-renewable natural gas and it may, in some cases, require extra materials to increase its resistance to fire. Its price is generally the lowest in the market, ranging from $4 to $7 per square foot. In comparison with other types of home sidings, aluminium stands out due to its strong weather resistance and finish which can remain intact over the years if it is not subject to imposing physical shock. 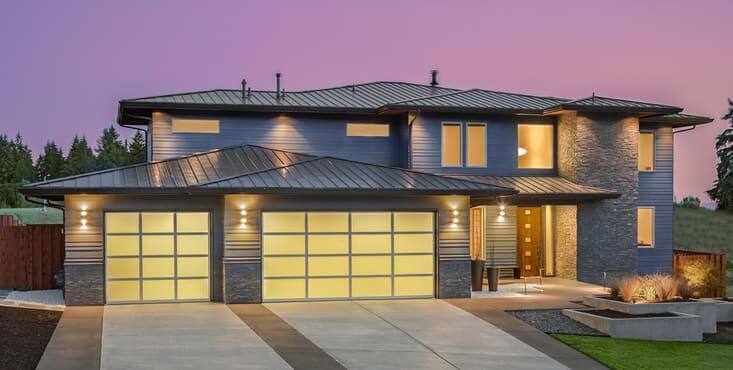 It's possible to obtain aluminium home siding in several colours, allowing you to create your desired style, depending on the other colours that match the outside surface of your home. It should be noted, however, that aluminium may be brittle due to its light weight. It's therefore not invincible against shocks and scratches. If you opt for this choice you must ensure that no heavy objects come in contact with it in force. It is fairly affordable, varying on average from $6 to $9 per square foot. Wood fibre, popularly known as CanExel, is an almost perfect imitation of wood while being considerably less expensive. Wood fibre is resistant to heat, wind and other compromising outdoor conditions. Its installation is a little more rigorous than with other materials, hence the importance of having the right experts at the time of the installation to avoid the risks of water infiltration due to poor installation. The cost averages around $6 to $10 per square foot with the installation included. This type of coating is made of blocks of rectangular shapes that are affixed one by one on your house facade. It is important to differentiate the quality of the materials and use quality brands since some less expensive brands will use recycled cellulose dust and their products will offer a shorter life span and a greater risk of discolouration over time. Positive points: Very resistant to mold, pests and high winds, it is easy to install, requires very little maintenance over the years and unlike vinyl, it does not require additional materials to increase its fire resistance. The materials do not absorb water and will not expand. The fibre cement also offers additional soundproofing to your house and is therefore perfect for residences in noisier neighbourhoods. Negative points: Not all contractors know how to install this product (even if it's not that complicated), so you will need to find the right expert and we can help you with that. Its cost is very reasonable (7 to 11 $ / pc.) and its lifespan can exceed 40 years if you use good quality materials. Acrylic stucco is a mixture of cement, sand and water and is offered in several colour choices. It’s a diverse material which offers some beneficial insulating properties that other thinner materials don't. This exterior home siding allows a lot of freedom in the visual aspect due to its different forms. However, stucco can be quite sensitive to changes in temperature and any slight movements of your framing over time, which could cause cracks. Moreover, it's not very resistant to fire. Its lifespan is generally 25 years or more. This type of siding is the most environmentally friendly. Its production involves relatively less pollution, generating a minimal amount of CO2. Several types of wood are available on the market depending on the colour, style and strength desired. Although very beautiful aesthetically, wood has some negative points. It's not very effective against the weather, it's more difficult to maintain and is not as effective as a firewall, along with having vulnerabilities to pests and mold. Wood siding has an average lifespan of 25 to 55 years depending on how well it’s maintained. 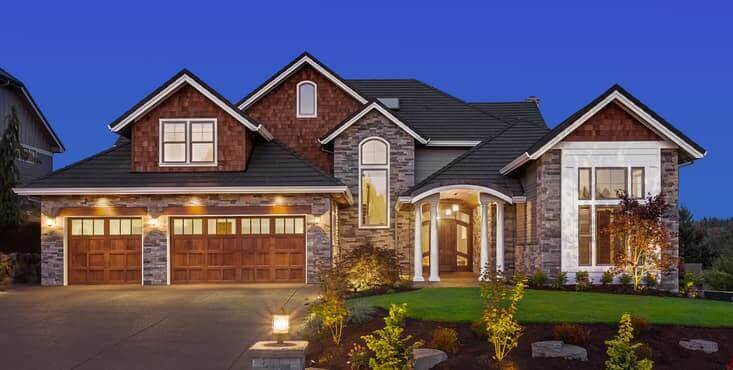 Bricks are very popular all over the world since it adds elegance and value to your home. Not only are there aesthetic attributes, but its strength is its resistance to weather, its performance as a firewall and its lifespan which can reach 100 years if it is well installed and maintained! Its maintenance is minimal and it is not affected at all by pests and mold. Due to its weight and its more-than-rigorous installation that will require expert masons, its cost is the highest on the market - it costs between $25 and $35 per square foot. House siding: Quotes at the right price. We refer up to 3 specialized 360° Verified Contractors to your project. As a result, you'll get a competitive, fair-priced quote. In addition to contractors, we also have a network of architects and engineers who can help you. 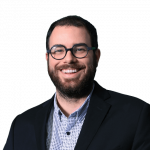 These experts could be the cornerstones of your project. All experts competing for your project will also have no choice but to be competitively priced if they wish to work with you. The help of an advisor throughout your project. 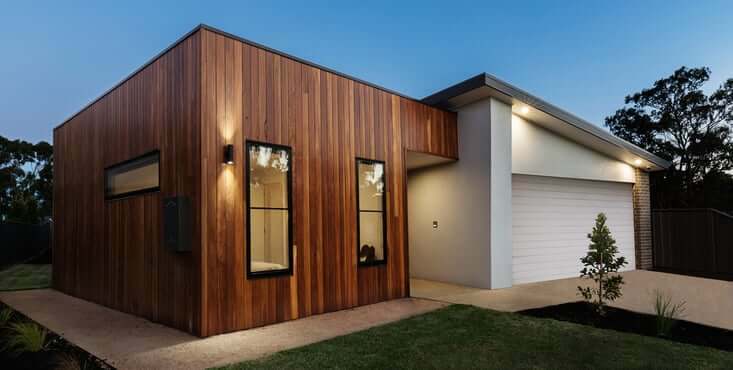 Your renovation advisor will recommend the right contractor for your house cladding project at the right price. 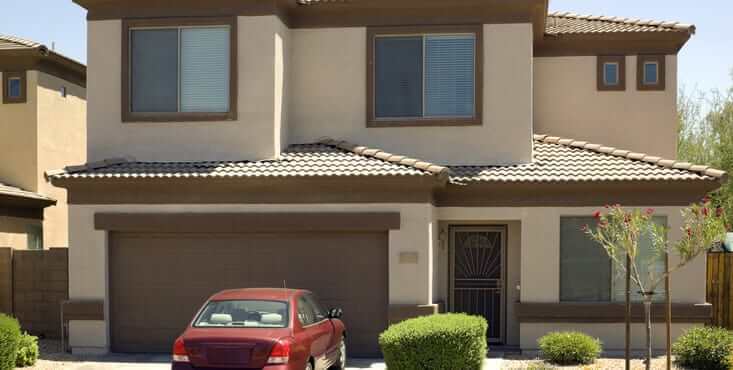 And, as the rating of every contractor is based on the satisfaction of past customers, you can be sure that these experts have a solid history of excellent work. Our advisors are here to help you. Free of charge and with no obligations! Benefiting from thousands of projects of experience since 2010, our advisors will help you plan your project perfectly, guiding you through every step. Simply give us a call or fill out the contact form on the right and an advisor will be in touch with you. We will make sure you get your project started on the right foot. It's free and with no obligation to you.